Here's a chance to win that four foot tall inflatable polar bear you always wanted. Continental US residents have through 5/20 to enter. Good luck. Holiday Contest and Sweeps is pleased to be able to bring you a great Memorial Day Giveaway from Standard Concession Supply for a 4ft Patriotic Inflatable Polar Bear that one lucky winner who resides in the Continental United States and is 18+ years of age will win. Let's take a look at the incredible inflatable that will be the attraction of your yard and be admired by your entire neighborhood. New for 2018....Four Foot Patriotic Polar Bear Holding American Flag Inflatable. This very adorable Polar Bear Patriotic Red, White, and Blue Inflatable will be the hit at your Patriotic Events. Kids will really love this one. At 4 feet tall, this Bear will be great for indoor or outdoor events.....and great for home porch or yard decor. Make sure to visit Standard Concession Supply for all your Holiday and Family Events that you want to add a touch of happiness that everyone will be talking about. 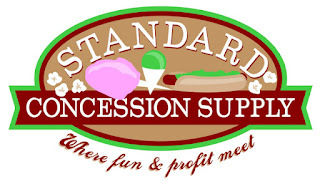 Standard also has a great selection of Concession Stand Supplies to keep your up and a great selection of Concession Stand Supplies to keep your up and going all Summer long.